Cool air and autumn leaves are right around the corner, and if you own a home, you should be thinking about all of the things that you need to get done before cold weather hits. When the weather gets cold, you’ll be glad that you prepared your home ahead of time. To prepare your home for fall and protect it from damage in cold, wet weather, there are several home maintenance steps that you should complete on your house every year. One of the most important steps to preparing your home for colder weather is to make sure that your furnace is in good condition. You’ll thank yourself for doing this sooner rather than later when you beat the rush that HVAC companies experience with the first cold snap. Call up a technician to have your furnace and the rest of your heating system checked. After all, it’s been at least six months since you used your heating system. This is another important step to include in your plan to prepare your home for fall, and you’ll be glad you didn’t wait too long on this one, too. Chimneys that are dirty can start fires, so you should have your chimney cleaned before you begin using the fireplace this season. You’ll save a lot of money on your energy bills if you check your home for drafts. Caulking on window frames and seals around doors can get worn out, and if you find them early, you can keep your home warm without having to do maintenance in the middle of the winter. To prepare your home for fall, take a candle or lighter around the house and put the flame near windows and doors. Stop every few inches to let the flame settle. If the flame flickers to one side when your hand is still, there is a leak in your door or window. You can prepare your home for fall by turning off exterior spigots, draining the hoses, and putting hoses away in storage. When you leave water in the pipes to an exterior spigot, the pipes could freeze and cause damage to the home. You can even cause damage to your hose if you leave water in it. It’s easiest to simply take care of your tools and store them for the season. It’s wise to take down any branches that could break in a winter storm. Trees and limbs that are too long, close to your house, or dead could break in strong winds and when they are burdened with heavy snow. Any fallen branches will create work later on when you have to remove the debris from your yard. These compromised trees and branches may also put your home at risk for roof damage and broken windows in severe weather. Fall is the best time to fertilize your yard. Your lawn will have all of the nutrients that it needs when spring comes if you get this job done before the first frost. 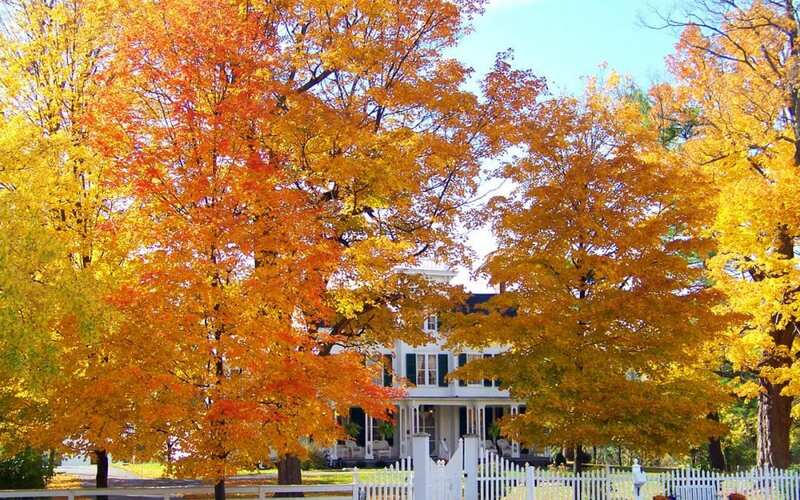 Performing fall home maintenance tasks before the season hits is a great way to proactively care for your home. If you’re looking for more ideas on how to prepare your home for fall, check out this article by Better Homes and Gardens. Diligent Home Inspections provides home inspection services to Maryland, including Baltimore and the surrounding area. Contact us to book an appointment.